The sustained effort against unions began earlier this month, when Gov. Eric Greitens made good on his campaign promise to “let people know Missouri is open for business” by signing a right-to-work bill. That means unions and employers will be prohibited from requiring workers to pay union dues starting Aug. 28. Headed to the Senate (after a 95-53 vote) is a measure that would cut all state funding from local governments that require non-union construction workers to pay union dues when working on a local construction project. Those are called project labor agreements (or PLAs). Already, there are PLA bans on state projects, but the measure brings the ban to cities and counties. Opponents argue that PLAs increase costs by mandating union wages and are inherently unfair to nonunion contractors and employees. Rep. Doug Beck, D-St. Louis, argued earlier this week that cutting state funding is a “draconian penalty” and tried — and failed — to amend the bill to add a similar penalty provision when local governments knowingly hire immigrants who are in the country without legal permission. 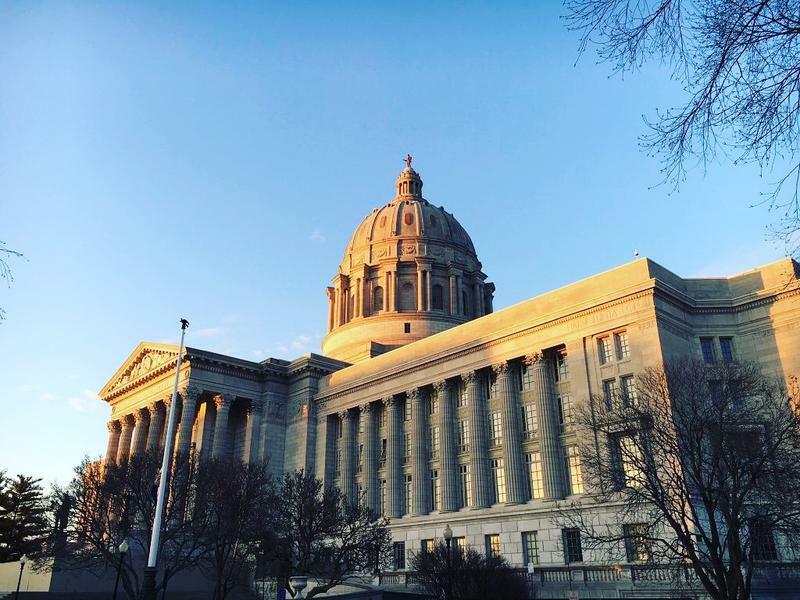 The Missouri Senate recently passed its own version of the PLA ban. Senate Majority Leader Mike Kehoe, a Republican from Jefferson City, says the bill is about saving money. According to the Congressional Research Service, supporters of PLAs say workers receive uniform wages and benefits and create an even playing field. Former President Barack Obama issued an executive order in 2009 that encouraged the use of PLAs on federal projects costing more than $25 million. President Donald Trump has promised to “cancel every unconstitutional executive action, memorandum, and order issues by President Obama” — that may include the PLA order. House Speaker Todd Richardson, R-Poplar Bluff, says abolishing the prevailing wage is next on the labor agenda. Two bills related to policing also moved on to the Senate on Thursday. The first, which passed 120-35, enhances penalties for crimes against police officers who aren’t in uniform; originally, the measure was to strengthen penalties for hate crimes but was generalized to any offense. Democratic Rep. Peter Merideth, D-St. Louis, was concerned about the motivation of certain types of crimes, such as involuntary manslaughter and bar fights, in which the aggressor may not have known the victim was a police officer or it was an accidental crime. Other Democrats argued it is unconstitutional to place preferential treatment on a citizen based on their job. “This has nothing to do with American values; this has everything to do with fear ... that creates institution that is above the citizens that they’re supposed to protect,” Rep. Mark Ellebracht of Clay said. There was less resistance for the second bill, which sets up an alert similar to an Amber Alert when a police officer is killed or seriously wounded. The bill passed 146-10. The bill comes after officers in St. Louis County and Kansas City were either seriously injured or killed in the line of duty last year. Greitens mentioned the Hair Braiding Freedom Act in his State of the State address, along with his support to de-regulate other businesses. Currently in Missouri, any small business owner who wants to exclusively focus on braiding hair has to obtain a $15,000 cosmetology license and put in 1,500 hours of schooling. The measure that was sent to the Senate would decrease regulations and require hair braiders to pass a self-test in order to open up shop. Marshall Griffin and The Associated Press contributed.